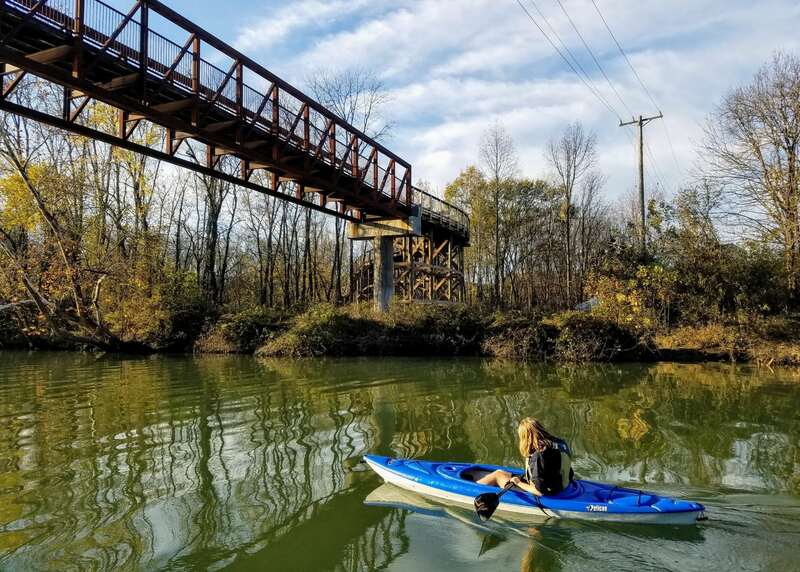 Within the city limits, just east of downtown Chattanooga, you’ll find a wide variety of outdoor recreation opportunities at Enterprise South Nature Park including hiking, trail running, road biking, mountain biking, and horseback riding. 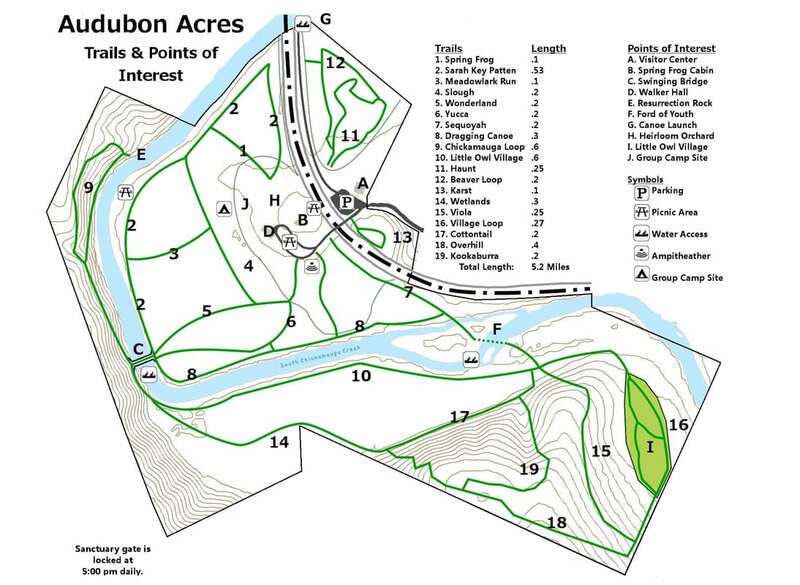 Audubon Acres offers hiking trails, wildlife viewing and access to South Chickamauga Creek from their property. 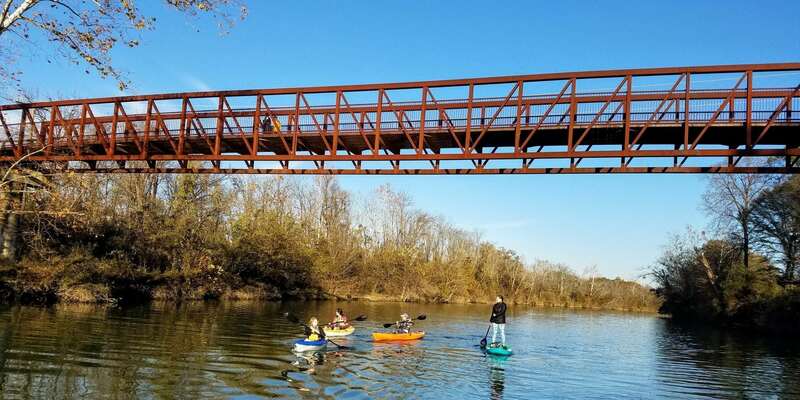 Paddlers can access the Tennessee River Blueway or South Chickamauga Creek from a variety of boat launches and the South Chickamauga Creek Greenway offers pedestrians and cyclists a unique tour of Chattanooga’s residential and industrial sections that follow along the creek. 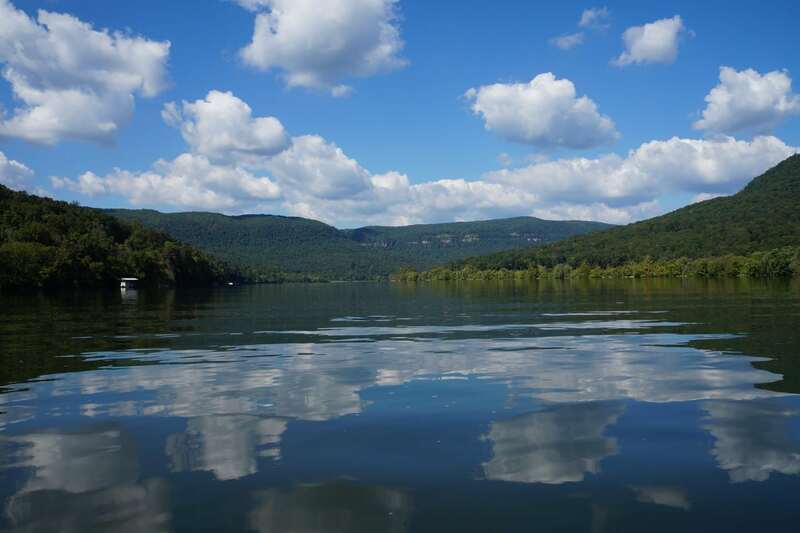 Hamilton County’s 2,800-acre Enterprise South Nature Park is located off I-75 in Northeast Chattanooga, adjacent to the Volkswagen manufacturing plant. 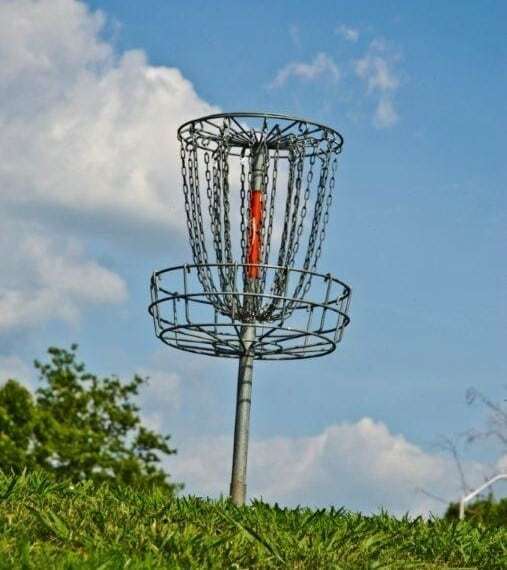 The park is best known for its vast recreational trail network that winds among dozens of sealed ammunition storage bunkers. 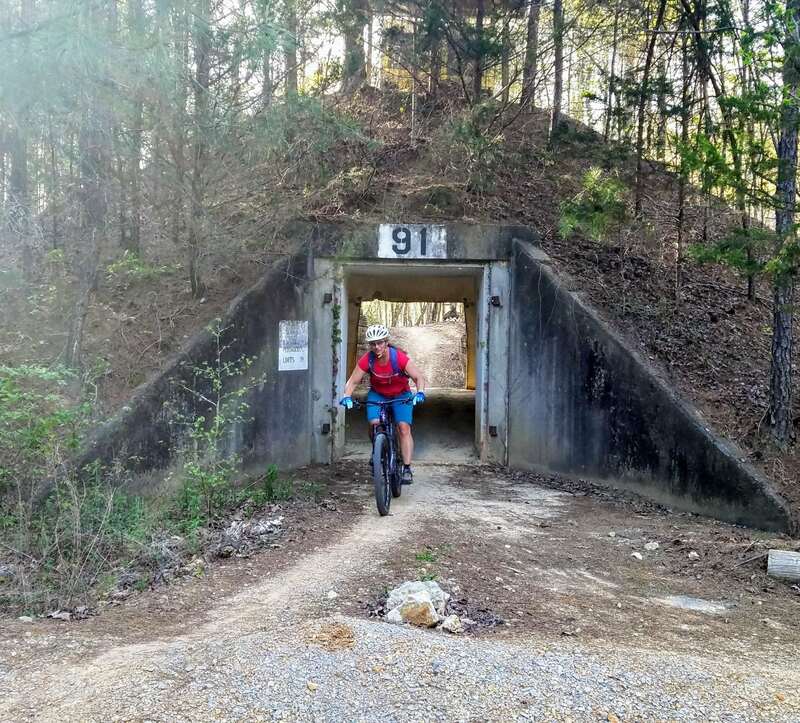 The park offers over 35-miles of paved and unpaved trails open for day hiking, trail running, mountain biking, road biking, horseback riding and ADA accessible recreation. 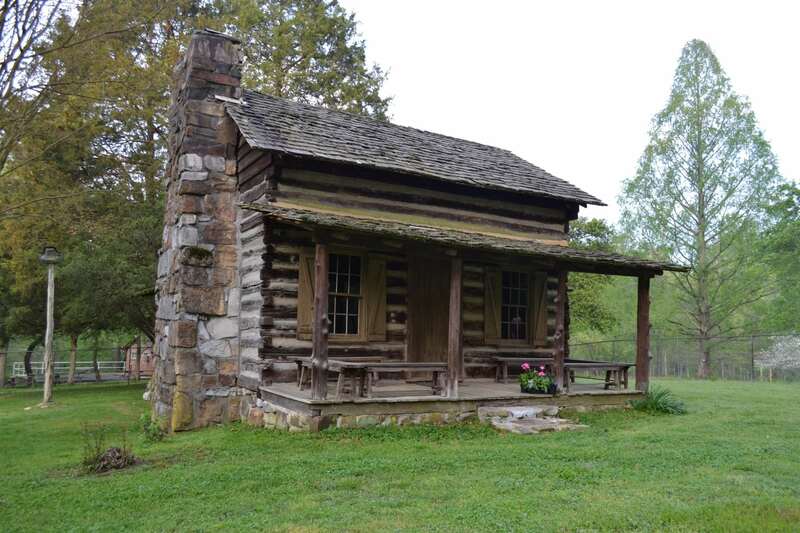 The park also offers 4 picnic areas, historical exhibits, a visitors center, bike rentals and a 7-mile driving loop. 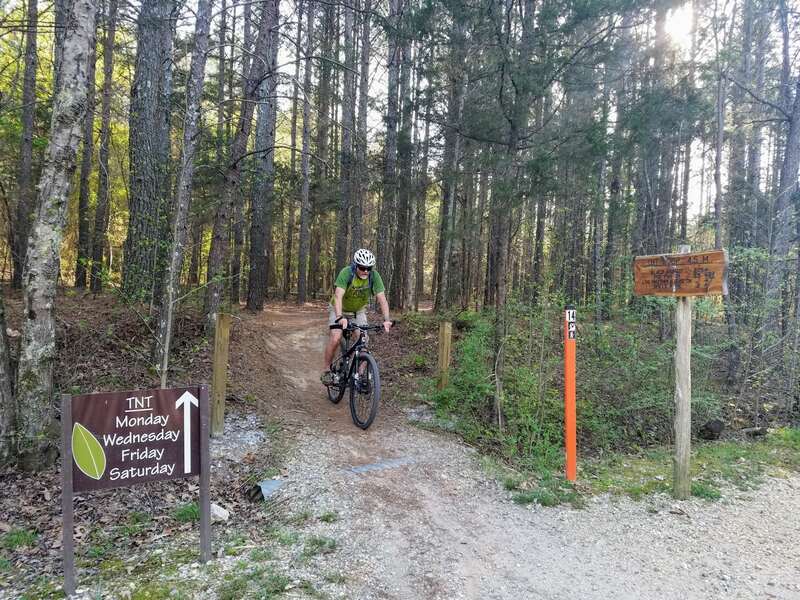 The nature park boasts 15-miles of singletrack mountain bike trails that range in difficulty from beginner to intermediate with built boardwalks and other technical features. The trails are directional depending on the day. Please check signs before riding. 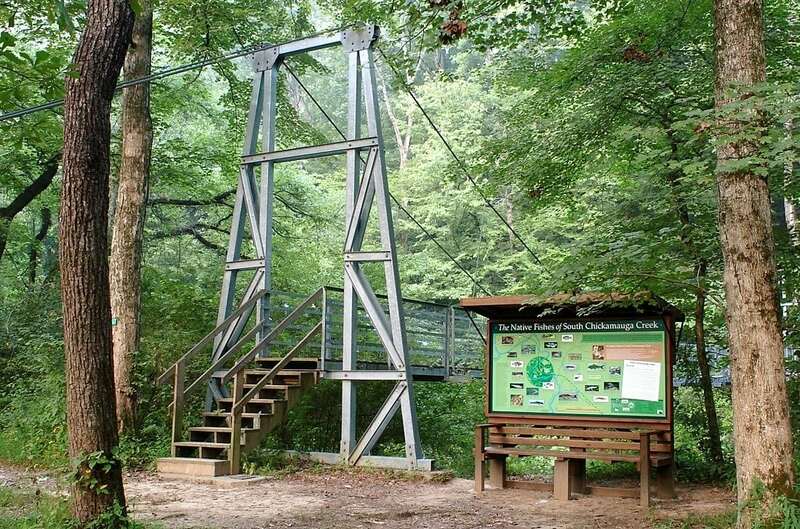 The recently added 10-mile Summit Knobs Trail was added in 2018 and is the first public facility in Hamilton County designed specifically for horseback riding. The trailhead features a large gravel parking area specifically designed to withstand trucks, trailers, and horses and is located off Highway 58 behind the Central High School football field, separate from the main park entrance. 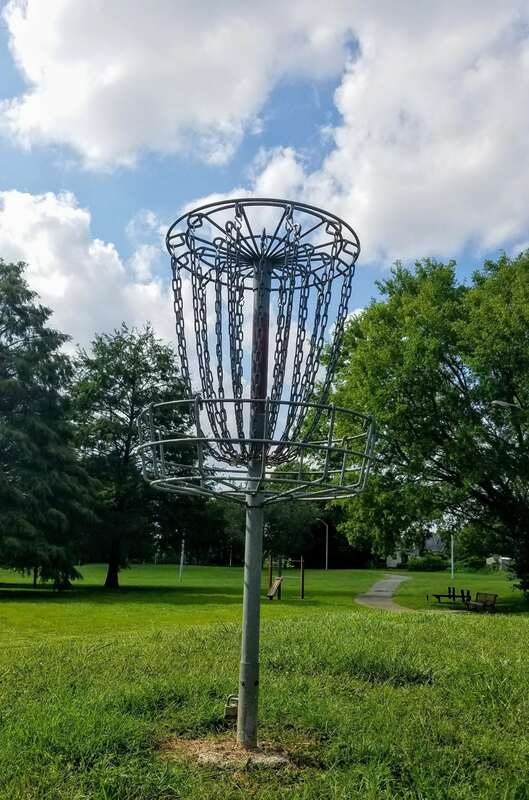 The facility also includes handicap-accessible restrooms, two water trough stations, mile marker trail posts, an information kiosk with trail maps and hitching posts.